In a video on social media, the EFF’s Marshall Dlamini can be seen hitting an officer in the face, breaking his spectacles, after Sona 2019. A video screengrab shows EFF MP Marshall Dlamini assault an unknown man after the 2019 State of the Nation Address. Picture: EWN. CAPE TOWN - Several Economic Freedom Fighters (EFF) Members of Parliament could be facing charges for assaulting police officers after the State of the Nation Address on Thursday night. 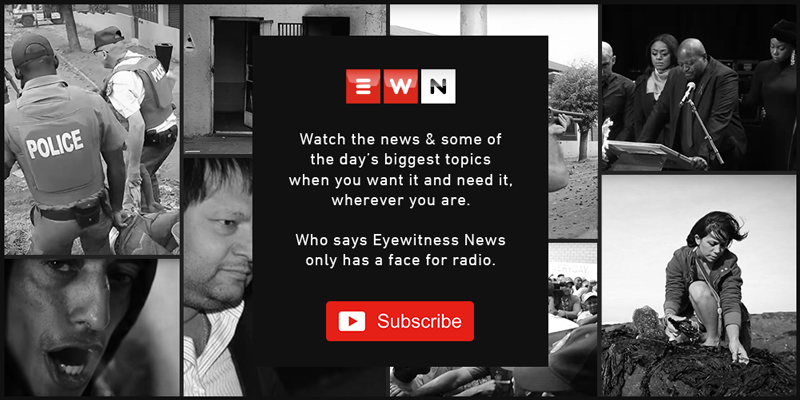 Eyewitness News has seen an incident report filed by police officers in which they say they were pushed aside by EFF MPs as they were exiting the National Assembly chamber. In a video of the incident, the EFF’s Marshall Dlamini can be seen hitting an officer in the face, breaking his spectacles. But the EFF says it was responding after learning of an alleged security threat on the life of its leader, Julius Malema. In a statement released on Friday, the EFF explained the alleged threat on Malema's life. The party claims that elite members of the police, in collaboration with unnamed right-wing groups, planned to assassinate Malema during President Ramaphosa's Sona speech. The EFF claims that the alleged assassins infiltrated Parliament's Security Service, the so-called white shirts, and that they were planning on waiting for the EFF to carry out their threat to disrupt the speech to kill Malema. The murder, the party said, would serve to undermine "the advances on the expropriation of land without compensation discourse." Thus when the EFF were stopped by the white shirts in Parliament after the speech, the party's MPs thought that this was the attempt and "reacted with the necessary self-defence." At the same time, Parliament has identified the police officer who was assaulted by Dlamini as warrant officer Johan Carstens. Carstens was responsible for cordoning off the exit area for the procession during the State of the Nation Address (Sona). In the same video, EFF leader Julius Malema can be seen shouting at the officer and wagging his finger. Parliament's presiding officers say they are outraged and disappointed by the conduct of Dlamini. Parliament says it’s investigating the incident. Officers say they closed a side door and asked MPs to wait a while because the foyer where President Cyril Ramaphosa was exiting the building had become too congested. In the police incident report, one officer says Malema stepped on her foot, while another says Malema pushed her out of formation by putting his hand around her neck.